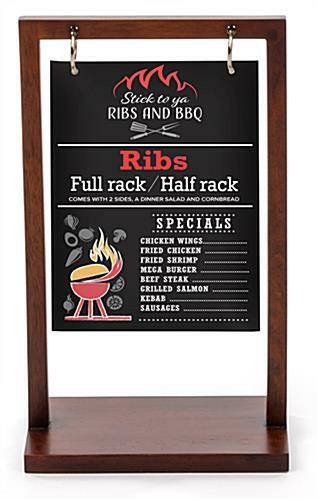 This 5” x 7” 2-hole tabletop menu display complete with custom graphics is an ideal way to share restaurant specials with your patrons. 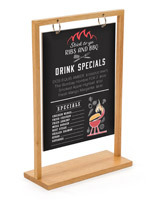 The wood sign holder in a dark finish features an elegant, simple design that complements any décor. 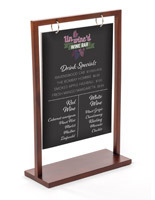 High-quality UV printing allows you to upload your own custom graphics to the double-sided tabletop menu display. 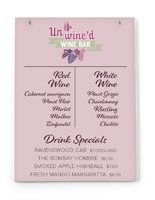 Share restaurant specials or brand messages in full color with your guests. 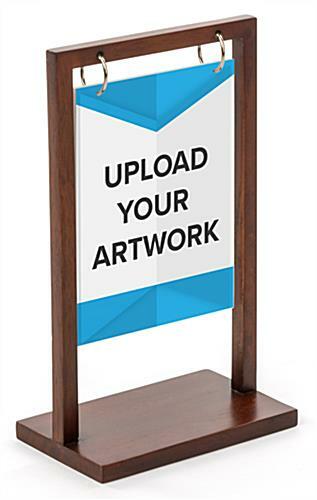 Replacement graphics are available to update the wood sign holder as messaging needs change. 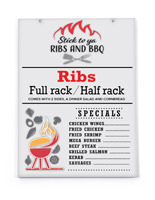 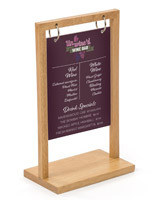 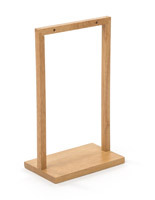 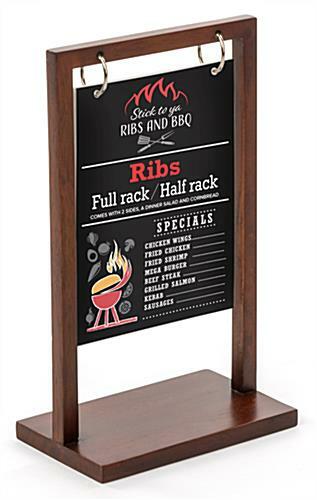 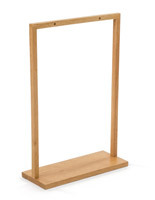 The elegant menu display is a wonderful addition to any restaurant, bar or retail store. 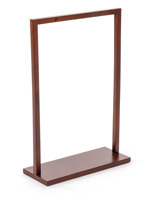 6.5" x 10.8" x 23.8"